In this Article we are going to discuss about "submerged continents" which is more often heard in along with the legendary lands of Atlantis or Mu. Atlantis and Mu never really existed, but there are a couple of real submerged continents around the world. Both are submerged in the Southern Hemisphere of the earth. 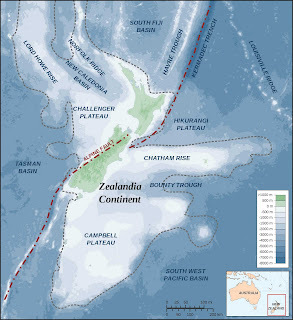 The submerged continents go by the names of Zealandia and the Kerguelen Plateau. 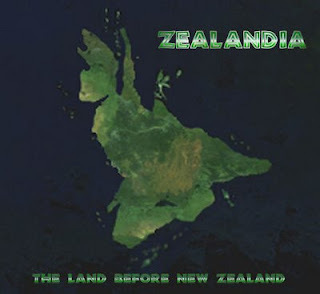 Zealandia is the largest of the two submerged continents, which posess a surface area of 3.5 million square kilometers, larger than Greenland and almost half the size of Australia. As the name suggests, the remaining part of the continent above water today are the islands of New Zealand. Zealandia quickly sunk when it broke off from Australia/Antarctica 83 million years ago. About 25 million years ago, Zealandia was completely underwater. Today, 93% is still underwater, with just 7% making up the New Zealand of today, which was created through tectonic action about 23 million years ago. Most of the submerged continent is less than 500 m (1,640 ft) below the surface. 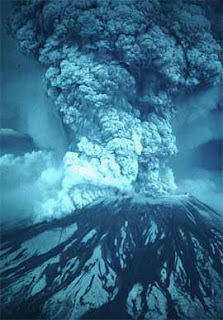 The Second submerged continent, far to the west, is called the Kerguelen Plateau or just Kerguelen. The continent is named after the Kerguelen islands, which along with Heard Island and the McDonald Islands are the only portions of the continent above the surface. Kerguelen is located in one of the regions of the world's oceans furthest from dry land, about 3,000 km southwest of Australia (1,864 mi) and 5,000 km (3,100 mi) south of India. Like Zealandia, Kerguelen was once part of the massive continent Gondwana, which was made up of practically all land masses in the present Southern Hemisphere. Kerguelen is smaller than Zealandia, with a surface area slightly larger than a million square kilometers, about three times the size of Japan. More than 99% of the continent is underwater. 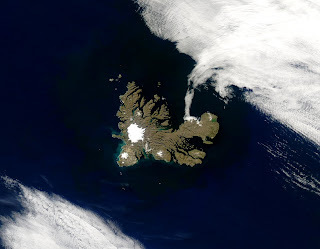 Kerguelen began forming 110 million years ago, over the Kerguelen hotspot. 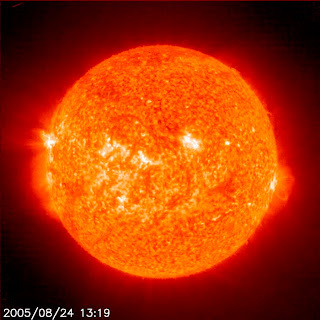 Between 100 million years ago and 20 million years ago, the continent was above sea level three times, and may have had tropical flora and fauna 50 million years ago. Because of its size, Kerguelen is called a microcontinent. Kerguelen sank 20 million years ago and now lies 1-2 km (0.6 - 1.2 mi) below the ocean. seems like the movie 2012..